Quinces are abundant in the markets at this time of the year and this cake from AWW's "Cakes, Slices and Biscuits" offers up another way to enjoy this fruit. 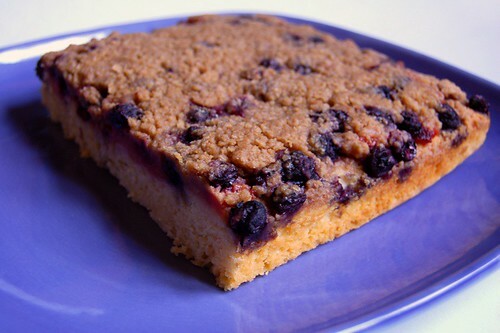 Poached quinces and blueberries are scattered upon a buttery cake base and then covered in a rich cinnamon crumble. This is one cake they'll all be asking for "more please!" Mix the water, sugar, cinnamon stick and lemon juice in a saucepan over low heat until the sugar dissolves. Add the quince and bring to the boil. Reduce the heat and simmer, covered for 1 hour 30 minutes or until the quince is tender and rosy in colour. Cool to room temperature in the syrup before straining out the quince. Store both the quince and the syrup in separate containers. Preheat the oven to 180°C/350°F. Line a deep 23cm square cake pan with baking paper. 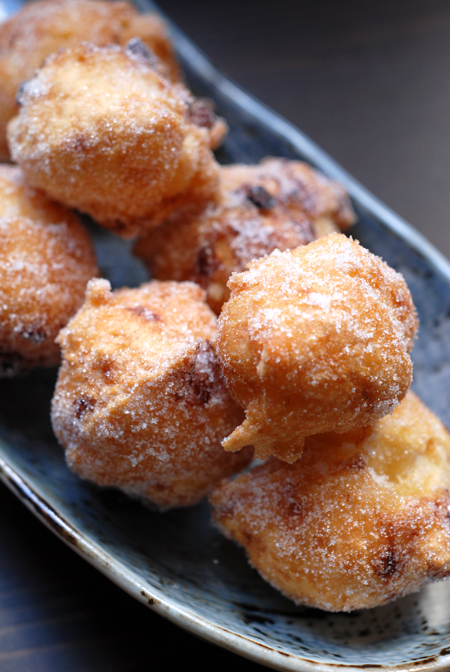 Beat the butter and sugar in the bowl with a mixer until light and fluffy. Add the eggs, one at a time, beating well between additions until just combined. Carefully, stir in the flour and milk in two batches. Spread the mixture over into the pan, smoothing the top before baking for 25 minutes. While cake is cooking make the crumble. In a food processor, add all the crumble ingredients and pulse until combined. When the cake is cooked remove from the oven. If using frozen blueberries toss them through the cornflour. Top the cake with drained quince then scatter over the blueberries before finally covering it with the cinnamon crumble mixture. Put this bake in the oven and bake for another 20 minutes. Stand the cake 5 minutes before turning out, top-side up onto a wire rack. You should be able to pull the cake out with the baking papers. Serve the cake warm or cold with the reserved quince syrup. Never actually tried quince before. It sounds delicious though. By the way thanks for your know what. I hate to do this to you Haalo but I think I have to tag you again. Onlydo it if you wnat to! Quince has a perfumed quality to it - not overly sweet and really was made to be poached - it's wonderful to see it change colour as it cooks. Do give it a try - this cake is a nice way to ease into it's flavour if you're a bit unsure about it. I love quince and especially quince jelly my mommakes. I am looking forward yo trying out this recipe! Love your site! 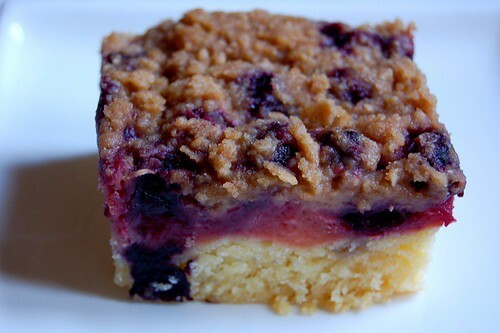 This crumble cake looks really attractive! Thanks for sharing the recipe, I shall this it soon. My mom walked in with some Quince one day, I'd never even heard of them before my this was really good! Thanks! Happy to hear you enjoyed it! 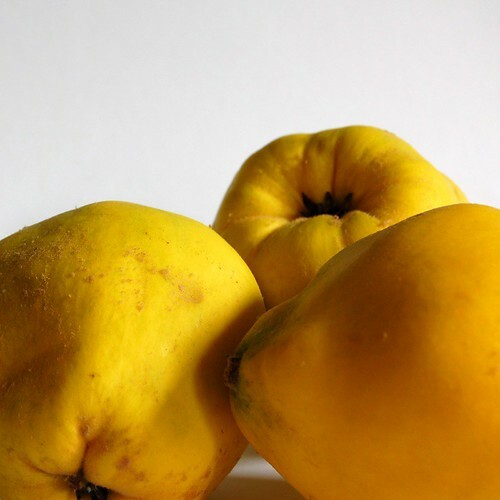 I cooked my first quinces at home this year and browsed through your impressive quince archives for inspiration. I ultimately went with this recipe and it served me well! I would probably reduce the quantity of cake a little (and bake it for less time) if I made this again, but most importantly those intimidating quinces turned out perfectly. Thanks, Haalo!